Empire Ranch (Sierra) Hole 4: The first true driving test of the day come here as the fairway winds it way around a little mound, but there is trouble left and hidden trouble right for the drive that goes too far. The green is fairly accessible but fairway finding is the mission here. Empire Ranch (Sierra) Hole 5: This short par three has water short and a little to the left. Clearly, avoiding that will make life easier for the golfer. The golf hole is not long, but it is pitched strong from back to front, so good distance control is paramount to leave a short birdie putt. 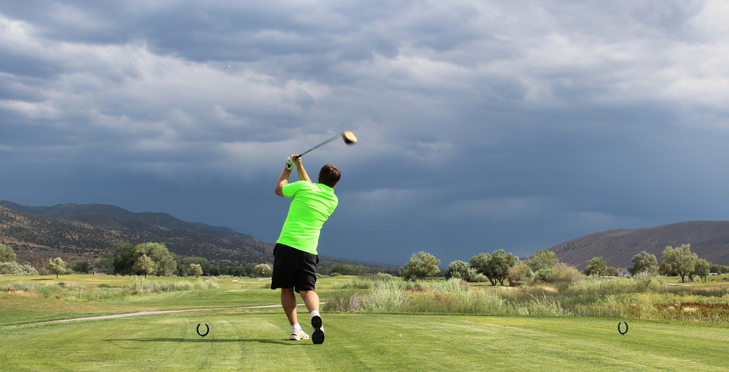 Empire Ranch (Sierra) Hole 6: The sixth is not a long or particularly taxing hole, but it does require the drive to avoid a big pull into the reeds or bunkers or a push out of bounds. However, it is short, so only fairway woods should be needed. The green is elevated so shots missing will leave uphill chips in all directions. Empire Ranch (Sierra) Hole 7: This is a long par four into the prevailing wind and requires two strong shots. The big danger is the lake to the right that can be cleared if the tee shot is pushed, but not if pushed and hit badly. 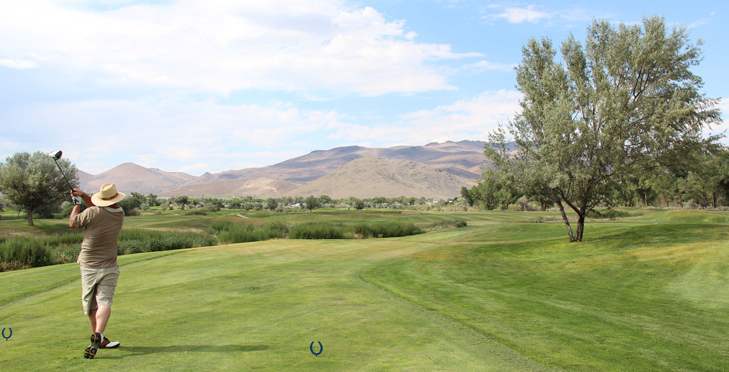 Empire Ranch (Lakes) Hole 2: This par five offers a good chance for birdie if the hole is down or cross wind. There is very little trouble off the tee other than a couple of bunkers, but the fairway is wide. The vista from the tee is nice. Empire Ranch (Lakes) Hole 4: The first par three on this nine has a water hazard to clear, but the front-right bunker is more clearly in play for even a good shot and will make any up and down attempt quite difficult. Empire Ranch (Lakes) Hole 5: On paper, there isn't much to this short par four, but the large water hazard to the left and several bunkers to the right will punish the golfer who is either too aggressive or too lax in concentration. Teh green is small and elevated with a fronting bunker, so approaching from the fairway is key. 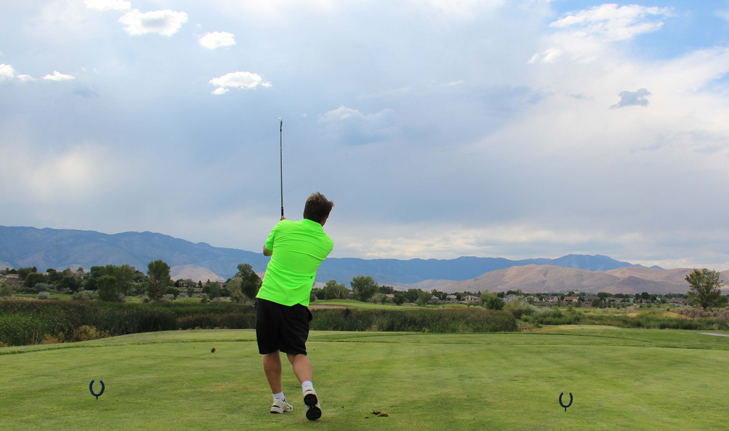 Empire Ranch (Lakes) Hole 6: From the tee, the fairway looks wide and the only danger is the OB way to the right. A decnt drive can cut the corner and clear the bunker, leaving a shorter chance to go for the green in two. The green is narrow and you can see a large bunker to the right. What you cannot see is the wrap-around hazard that starts at the front left edge and goes all the way around behind the bunker on the right. So, any aggressive play needs to be deadly accurate to avoid that hazard. Empire Ranch (Lakes) Hole 7: This par four is long and has lots of water trouble to the right, but bailing out left is an option and even presents a better angle to the green (even if the shot is longer). The green has a hump running through the middle that means shots to the front will hold but the back half runs away into bunkers or hilly lies. Empire Ranch (Lakes) Hole 8: This par three has trouble on three sides and simply requires a very good shot to avoid hazards or bunkers. The green also has strong pitch for this course.